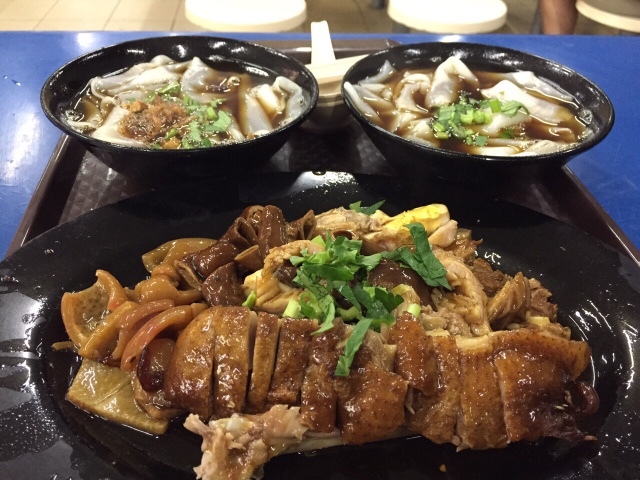 Enclave in Hougang Street 21, Kovan Hougang Market and Food Centre offers a wide variety of delectable food. Well-connected with public transportation, you can even get there via the North-East Line at Kovan MRT station. Kovan is an amalgamation of traditional shops and modern shopping mall - Heartland Mall. 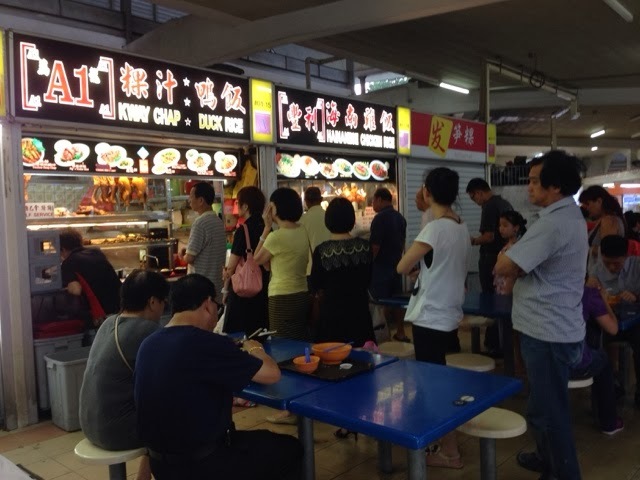 At the food centre, there are numerous food stalls with long queues, from duck rice to economical rice to Singaporean salad. 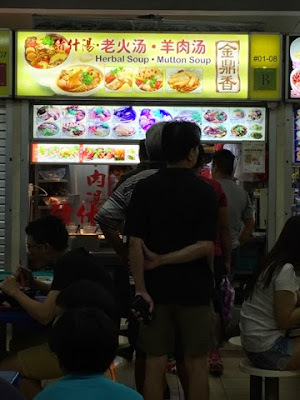 Here I will update periodically the food stalls I tried at Kovan Food Centre. 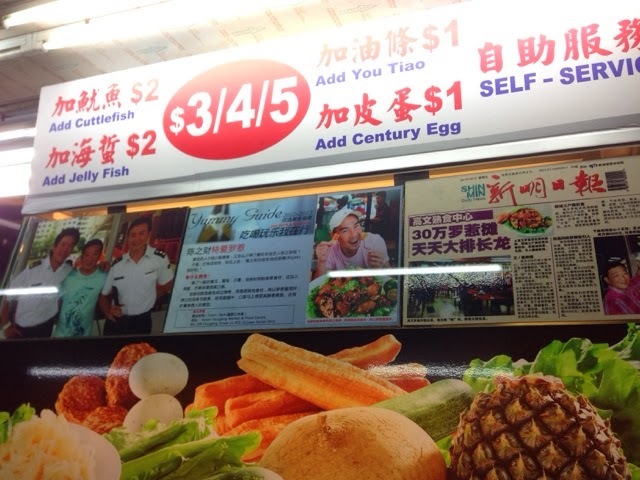 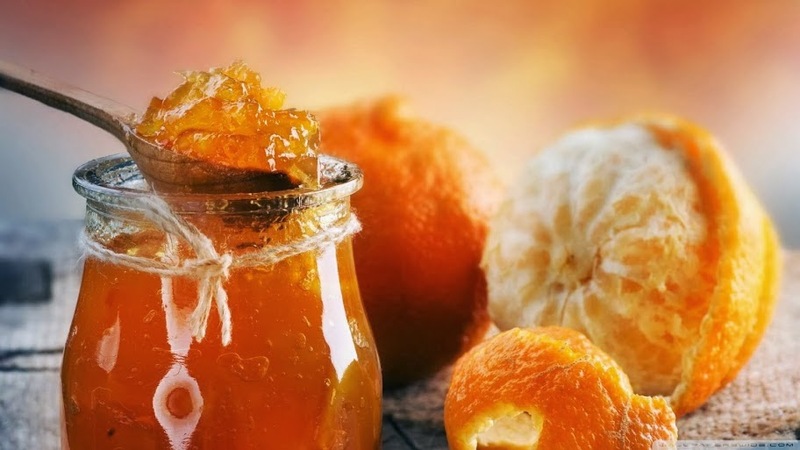 You may also share or recommend your favourite stalls. 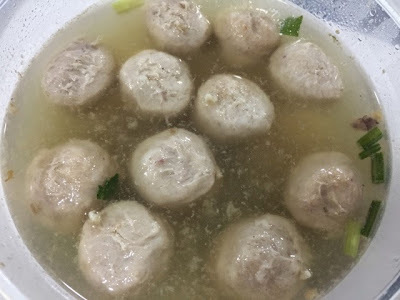 Kway Chap (果汁) is a Teochew cuisine that serves broad, flat rice sheet in a soup made with dark soy sauce. 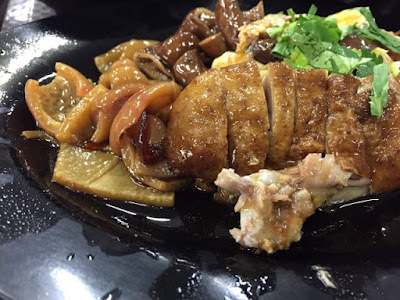 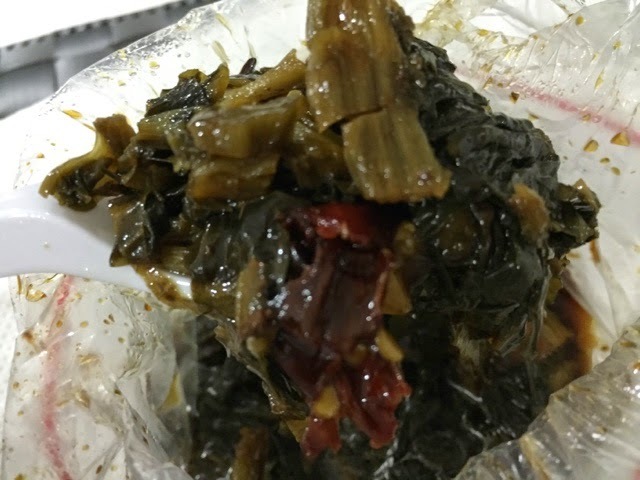 The flat broad sheet is served with pig offal (skin, pork belly, intestines, etc), firm beancurd, fried beancurd, preserved salted vegetables, braised boiled eggs, fish cakes and many others. There are two stalls of A1 - Duck Rice and Kway Chap, and Hainanese Chicken Rice. There are various set menu combinations for both dishes. I ordered ala carte Kway Chap dishes like fried beancurd, intestines and braised boiled eggs. 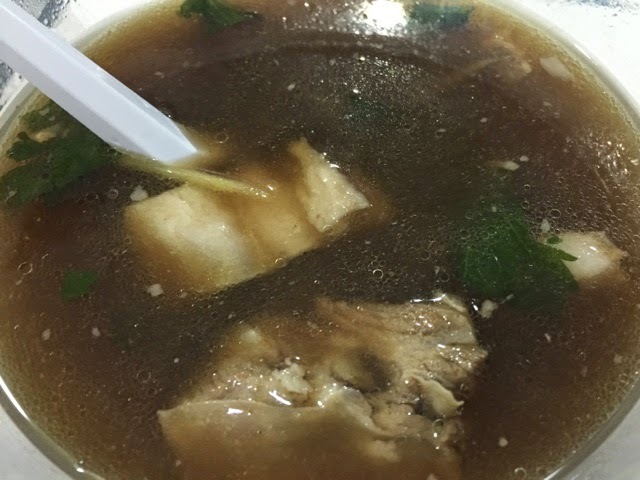 The flat broad noodles were firm and chewy in the dark soy broth. The bowl of noodles were then garnished with fried shallots and Chinese coriander. The portion was just nice to accompany the side dishes. Rojak (囉喏) is a Singaporean-style salad that comprise of fruits and vegetables. 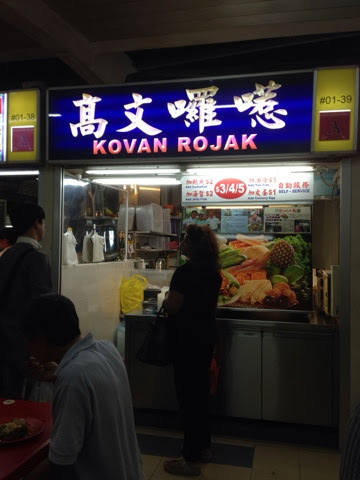 Rojak means 'mixture' in Malay. 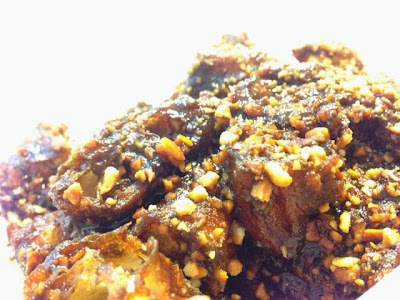 The rojak is commonly comprise of bean spouts, pineapple, cucumber, fried fritters, fried beancurd, which are then tossed into the spicy fermented prawn paste and then drizzled with finely chopped roasted peanuts. I bought these goodness home.